Using a glass pipe can have distinct advantages over a casually rolled joint, namely being healthier and delivering a smoother, high-quality inhale. However, it can be difficult selecting the perfect weed pipe for you. With the increased adoption and acceptance of marijuana consumption has come a wide variety of smoking methods, which can get confusing for the average marijuana enthusiast. Glass pipes come in a large variety of shapes and sizes. Obviously, they are constructed from glass and are designed to smoke herbal products. In any case, for those who value the quality of their marijuana, it is best to invest in a good item that will last for a long time without compromising on the quality of the smoke. We recommend the Marley Natural, the GRAV Helix, and the Marley Natural. Glass is the most common material for marijuana consumption products. This is mainly because the material does not affect the smoke. Inferior quality materials such as plastic or metal can contaminate the product. Below we have list the 5 best glass smoking pipes. Constantly smoking from a dirty pipe with chemicals leeching into the smoke ( and your lungs ) will impact your health in the long-run. Which is why people who smoke regularly should consider a glass smoking pipe. Let's take a look at a few other reasons to get a glass pipe. Why a Glass Weed Pipe? They are ultra slick and modern. Having a psychedelically designed weed pipe definitely adds an aesthetic quality which adds to the experience. Joints will never go out of fashion and have a timeless quality. But pipes are in a league of their own and all long-term smokers should invest in a good quality pipe to add additional dimensions to their marijuana experience. The main disadvantage of a smoking pipe is that they tend to break easily if not handled with care, and they are also more expensive than their wooden and plastic counterparts. 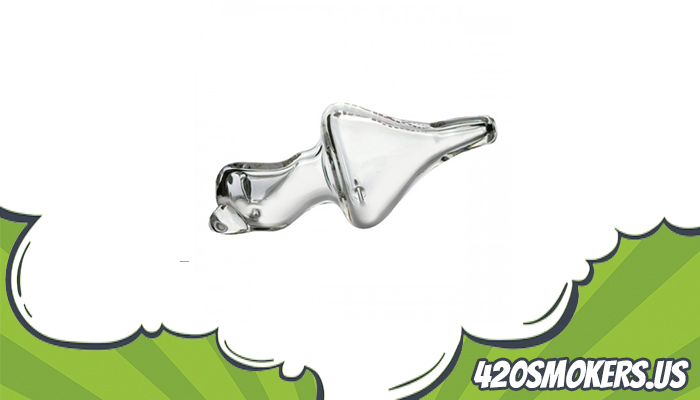 Chillums - are the most common and simple kind of glass pipes. They are just small and simple glass tubes. Users can pack smoke into one end of the chillum, light, and inhale. Of course, this simplicity has drawbacks. They are only suitable for small amounts of herb. Additionally, with no carburetor, the smoke is not easily cleared. They are not overly ornate or sophisticated. Spoons - are a little cooler than Chillums, boasting a carburetor. Smoke quickly becomes stale, but the carburetor allows additional air to be drawn through. Pipes with a carburetor are just better than those without, with a fresher smoke. Streamrollers - have two open ends. They are not recommended for novice smokers as they take some time to learn how to use properly. Some have chambers between the bowl and the mouthpiece. The open end near the bowl functions as the carburetor. Sherlock or Gandalf Pipes - are for those who really want a stylish and sophisticated smoking experience. The pipes are ornately curved at both ends, reminiscent of how these two iconic figures smoked their pipes. However, despite appearances, these pipes do not have any obvious advantages. They may or may not feature a carburetor, depending on the model. Like all pipes above, the smoke is harsh and unfiltered. Bubblers - are undoubtedly the best pipe on the list. This is because the hard smoke is filtered through water. Pipes that provide a filtered smoke are far superior for those who value their health, the same way that filtered water is better than unfiltered. Sometimes the chamber is filled with hot water which adds vapor to the smoke. Others us ice for an ultra smooth and frosty inhale. Below is a list of 5 of the best marijuana glass pipes. In any case, for those who value the quality of their marijuana, it is best to invest in a good item that will last for a long time without compromising on the quality of the smoke. This stylish Marley glass retails at a modest $52, with a distinct black color and gold accents. Like all top quality pipes, it is made from borosilicate, meaning it is resistant to heat and breakages. It features an extra wide bowl which allows the smoke to cool before inhalation. 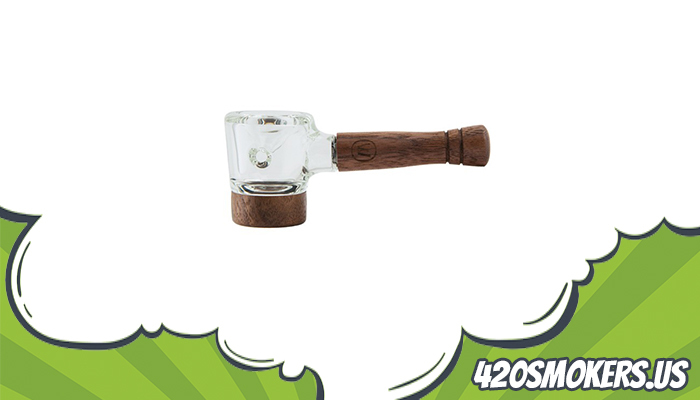 The Marley Natural Smoked Glass Spoon Pipe comes with all essential elements of a high-powered glass product - a wide bowl, sturdy design, good value, carb hole, and ash catcher. A simple yet functional pipe with definite Jamaican vibes. GRAV have built a solid reputation as having the best marijuana consumption products available on the market. The Helix Classic retails a little more expensively than the Marley at $79.99. However, it definitely comes with some additional features. It features the classic spoon design with the addition of the famous Venturi chamber mouthpiece, allowing for a deeper and cooler inhales. An elegant combination of classic simplicity with modern aesthetics. Comes in a variety of colors and is simple to use with a smooth finish. It is small and portable, so it can be carried on the go. This resembles the design of entry #1 above, except for the fact that this spoon pipe incorporates an elegant wooden black walnut handle and retails at $68. This has a couple of advantages. One is that is is easier to take with you, given it is not made entirely of glass. In many ways, it combines the best of both wood and glass, with the wood look and feel, but with an untainted glass smoke. It is easy to clean and fully detachable. At 2" H x 4.5" L x 1.20" D, and weighing a mere 0.28 pounds, it is the perfect travel companion. 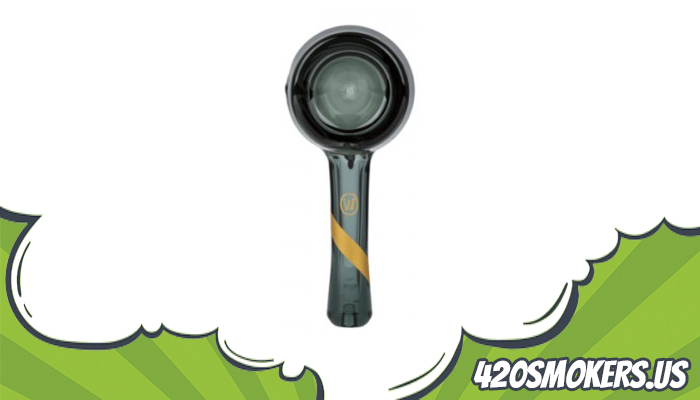 At a mere $52, the Marley Natural Rise Up Spoon is a bargain providing all of the benefits associated with a high-quality glass pipe. It has a huge bowl and is made from tinted borosilicate. Like all the best glass weed pipes, it comes with a carb hole for a fresher smoke. It is another classic collector's piece carrying a distinct Bob Marley vibe. Comes with red lettering and is light and easily portable. The Marley Natural Rise Up Spoon has a modern look and feel, missing some of the timeless quality of its wood incorporated counterparts. But the tinted glass and huge bowl will be approved by many. The final entry on the list is another fine GRAV brainchild, neatly compact at 6 inches, unlikes most other glass pipes which are around 8 inches or so. This item also comes with the sophisticated Venturi chamber mouthpiece and retails at $69.99. It has a zany and twisty design that can neither be described as classical, modern, or futuristic. But it is another alternative take on the classical spoon head design and will deliver smooth and deep hits. Like all helix glass pipes, it does an amazing job of preserving the purity of the product without using water filtration. It fits perfectly in the hand and delivers a deep smoke. The pipe is crack resistant. 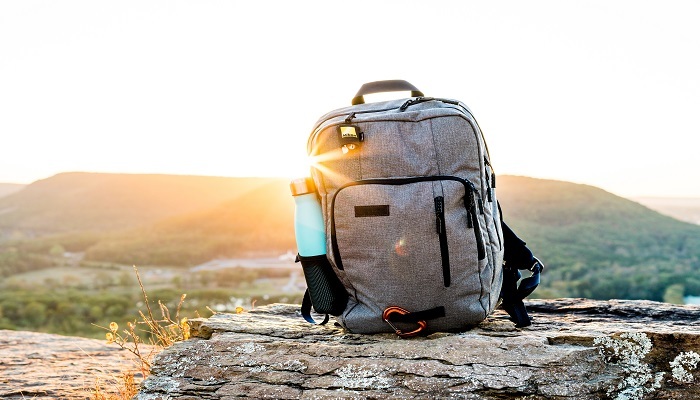 The product dimensions are 3.5 x 3.5 x 5.5 in, making it useful for travel purposes. It weighs 0.43 pounds. Despite being the final entry, this is one of the more compact and aesthetically pleasing pipes on the list. Using a glass pipe is generally straightforward. 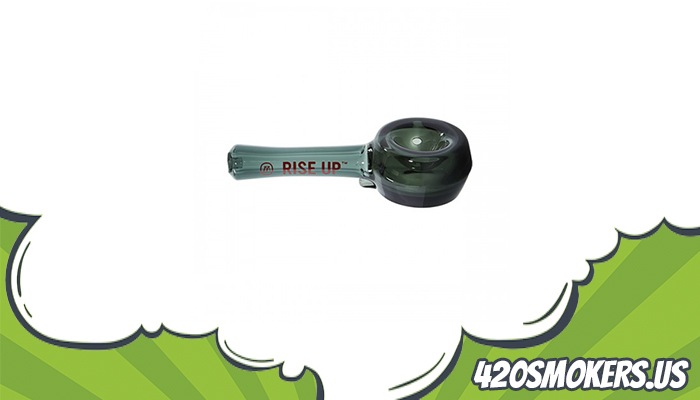 Put the product in the bowl, light and inhale through the mouthpiece. 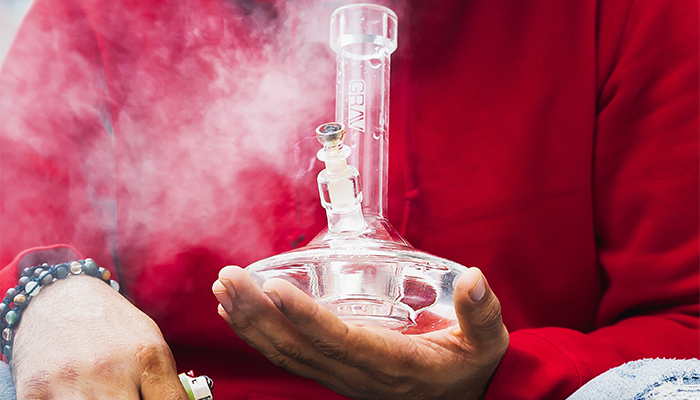 However, it is necessary to clean a glass pipe periodically. Otherwise, tar and resin will affect the smoke, defeating the primary purpose of getting a glass pipe in the first place. The easiest way to clean a glass pipe (when done correctly) is to boil it. Glass pipes have high boiling points, just remember to boil it slowly. Never drop a glass pipe into boiling water and remember to cover the water completely. Another method for cleaning a glass pipe is using alcohol. Two parts alcohol to one part salt is a commonly cited combination. Overnight soaking in 91% plus alcohol should easily dissolve the resin. You can use some kind of miniature wire scrubber to remove the accumulation. 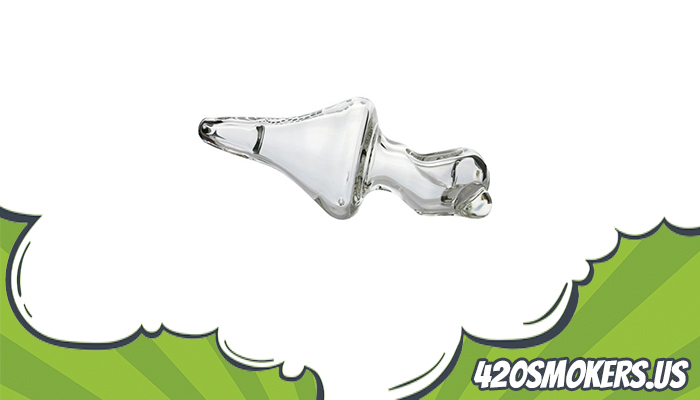 Remember that while glass pipes are somewhat sturdy, they are prone to breakage.